Cataloged by Hodierna before 1654. 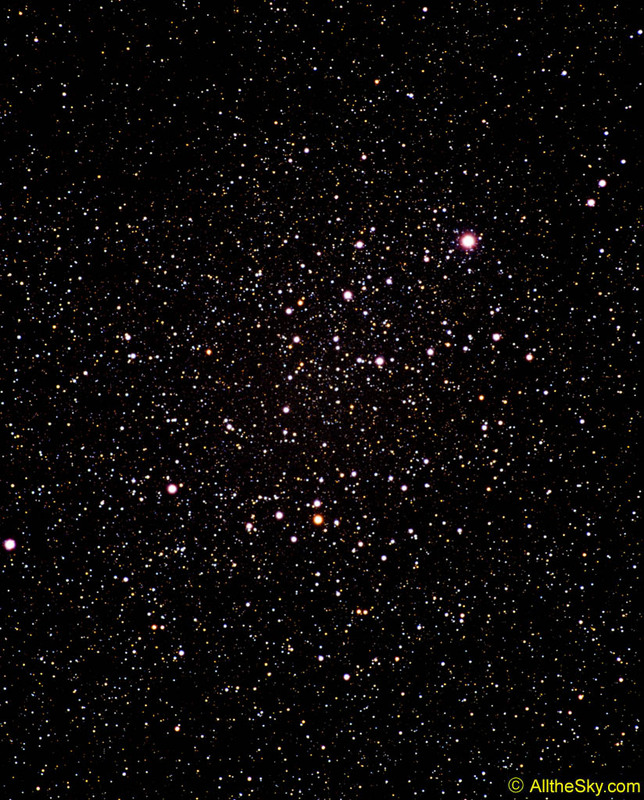 This moving cluster was probably first cataloged as a nebulous object by Hodierna. It was described as stellar group by Eddington 1910, and cataloged by Melotte 1915. 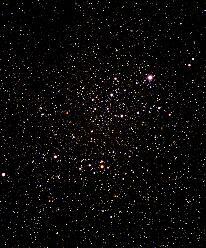 The cluster is rather young and contains a number of massive, hot stars of spectral type O and B, and thus classified as "OB Association." 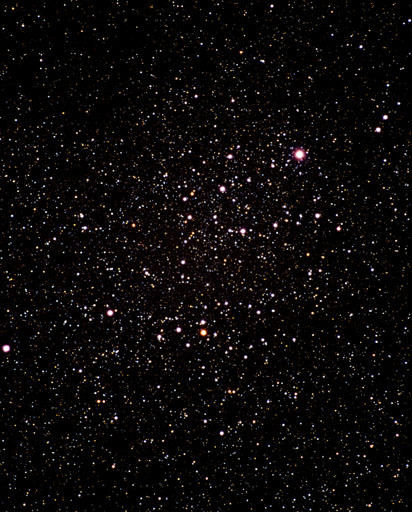 The distance of this cluster has recently been measured by ESA's Hipparcos satellite, as 601 light years (previously, it had been estimated at 554 light years). The Alpha Persei cluster is easily found around the star Alpha Persei (or Mirfak, the brightest star in this image, seen in the upper right) and visible to the naked eye. The image in this page was obtained by Till Credner on October 14, 2001 at 0:25 UT with a 300 mm f/4.5 telephoto lens, exposed 30 minutes on Kodak Ektachrome 200/400. The field of view is 4.2 x 5.3 degrees.